For many people, summertime is synonymous with trips to the beach, water sports and recreation. Even though summer warmth is a welcome break from winter weather for many people, State Farm warns that heat is one of the leading causes of weather-related fatalities, resulting in hundreds of deaths each year in the United States alone. Ensuring summer recreation plans remain enjoyable means keeping an eye out for heat-related illnesses and other dangers. >> Hot cars can be traps. It is never safe to leave a pet, child, elderly person, or disabled individual locked in a car. Temperatures can climb rapidly inside of a sealed vehicle, even if the windows are cracked. >> Pay attention. Listen to or read weather forecasts to stay abreast of potential temperature changes as well as the heat index. Discuss safety precautions with members of the family and make sure everyone knows what to do in an emergency. >> Stock up on fluids. The Red Cross says to stay hydrated by drinking plenty of fluids, even if you are not thirsty. Avoid drinks with alcohol or caffeine. Make sure the elderly also get plenty of water, as they often do not recognize dehydration as readily as others. >> Limit strenuous activities. 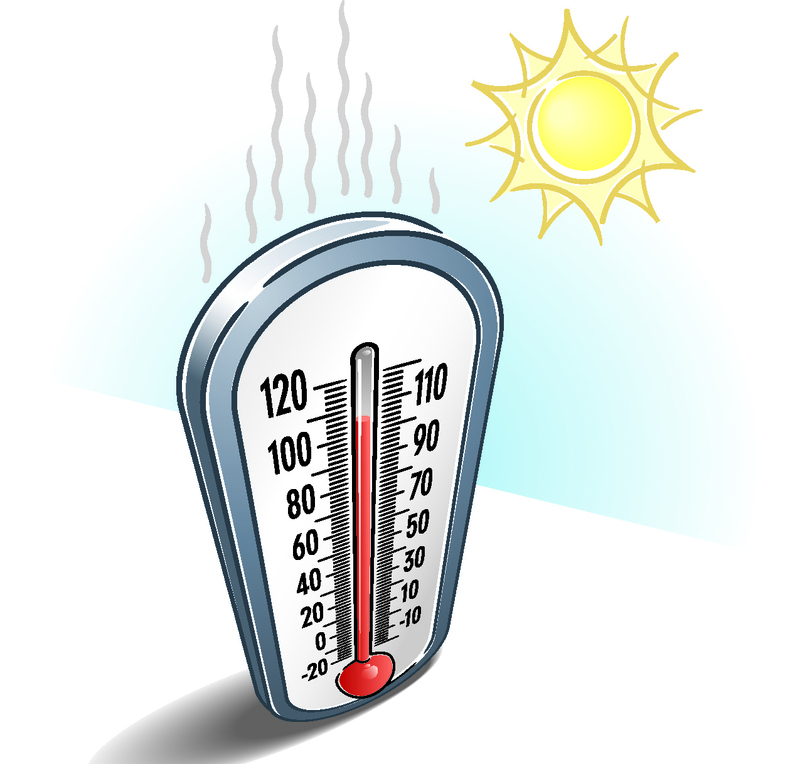 Reschedule outdoor activities if there is a heat wave, or move them to cooler times of the day. Spend the hottest portion of the day, usually between noon and 3 p.m., in the shade or inside in the air conditioning. People on job sites should take more frequent breaks and find shade whenever possible during these hours. >> Change your clothes. Loose-fitting, lightweight, light-colored clothing will help keep you cool. Avoid dark colors when spending time in the sun. >> Recognize distress signals. Heat stress, exhaustion and heat stroke progress as symptoms worsen. Nausea, weakness, elevated body temperature, clammy skin, confusion, and delirium are some of the symptoms of heat-related illnesses. >> Find ways to stay cool. Not everyone has air conditioning. On especially warm days, going to public places with air conditioning, such as libraries, can help. Be sure to check on the elderly or others who may have difficulty finding cool places to spend their day.